When looking at the Philippines on a map, it is hard to imagine that this archipelago is comprised of over 7,000 islands, all connected to one another by the waters of the Pacific Ocean. 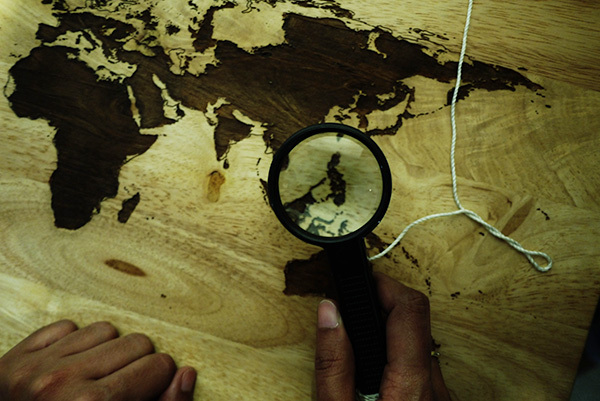 The topic of “connecting seas” has been omnipresent at the Getty Research Institute recently. The theme for this year’s scholar year and the GRI’s inaugural exhibition in its new galleries both shared this evocative title. 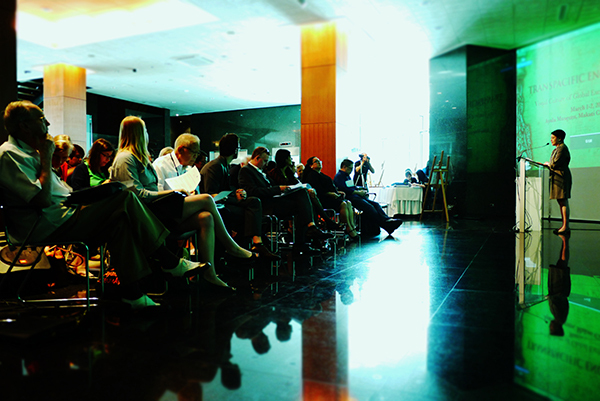 In addition, the Research Institute, along with the Kunsthistoriches Institut in Florenz and the Ayala Foundation, worked tirelessly to organize an international art history symposium in the Philippines around the same theme. Why choose the Philippines for this gathering? For over 250 years, from 1565 to 1815, the Philippine archipelago and its capital city of Manila served as the global center for commerce between the East and the West, its famed Manila Galleons carrying Chinese silks and Mexican silver across the Pacific Ocean. 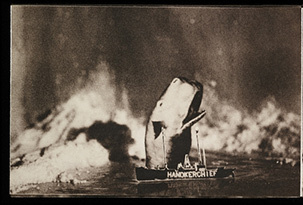 As the Research Institute prepared to explore how bodies of water facilitated rich and complex interchange in the visual arts for its scholar year 2013–14, the Philippines was a logical choice for this art historical gathering. Last month, a delegation from the Getty Research Institute traveled across the Pacific Ocean to the Philippine capital of Manila to take part in this groundbreaking event. 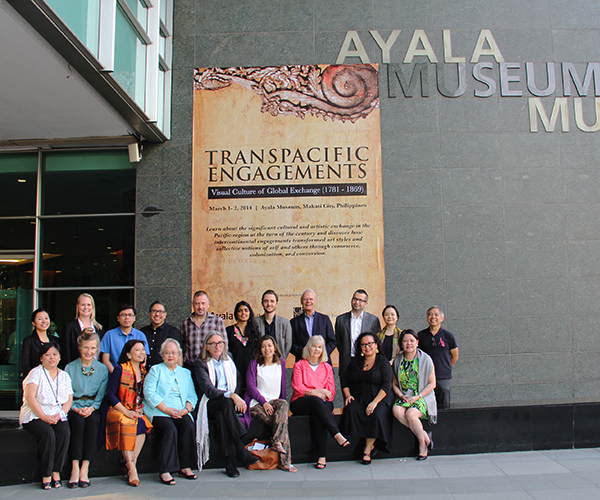 The symposium, titled “Transpacific Engagements: Visual Culture of Global Exchange (1781–1869)” took place at the Ayala Museum in Makati City. Over the course of two days, a group of scholars from Europe, Asia, South America, and the United States presented papers that addressed the cultural and artistic exchanges facilitated by trans-Pacific trade from the late 17th to the mid-19th centuries. 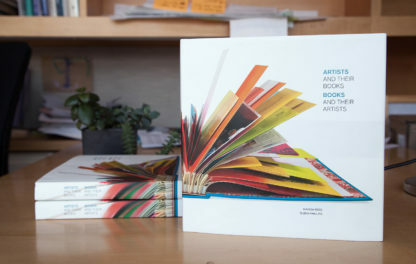 This cross-cultural exchange of ideas was fruitful for the participants’ own research, and furthered the Research Institute’s goal to expand the traditional European boundaries of art history as a discipline. 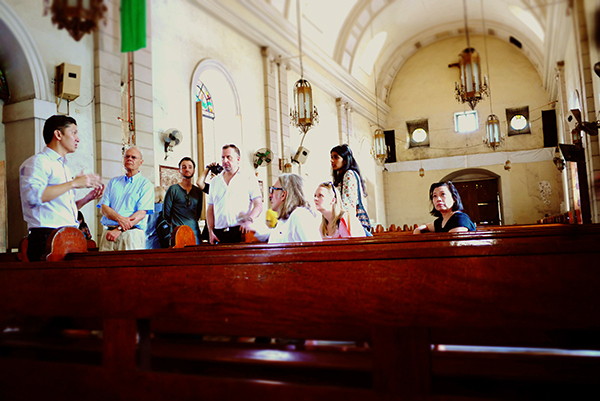 For many of the participants, Manila has played a key role in their art historical research, and this trip provided the opportunity to explore some of its archives, libraries, and museums. 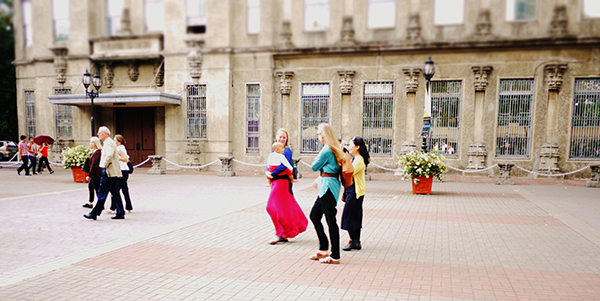 Our first stop on the trip was to the campus of the University of Santo Tomas. Founded in 1611, it is the oldest existing university in Asia. The university archive today houses a remarkable collection of historical documents from the Spanish colonial period as well as a large collection of rare books in its library. The campus survived the bombing during World War II, when it was used as an internment camp where over 2,500 allied civilians were detained. In addition to learning about the history of the Philippines and Manila, we also had the opportunity to see contemporary artists’ responses to Manila’s colonial legacy and their reflections on current issues in Filipino society. The highlights included works by artist Leslie de Chavez in an exhibit titled “Complicated” at the Lopez Museum, paintings by Elmer Borlongan at the Ayala Museum and an exhibition of Philippine contemporary art, curated by current Getty Fellow Patrick Flores at the Metropolitan Museum of Manila. Once the symposium ended, we were given an insightful tour of the historic center by the Architect Michael (Mico) Manalo, director of the Escuela Taller Intramuros. 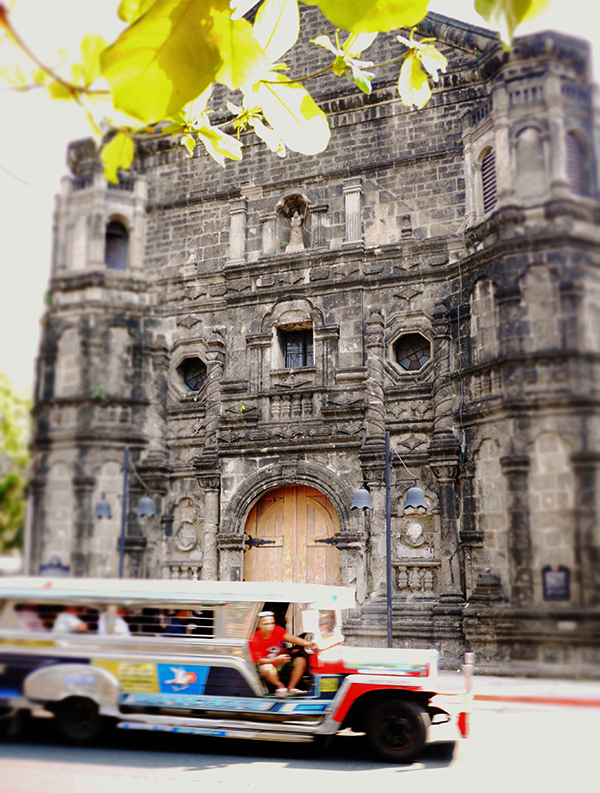 Facing the bay of Manila, Malate Church, built by the Augustinians in the sixteenth century, suffered extensive damage over the centuries at the hands of earthquakes, typhoons, and the bombings of World War II. Architect Manalo and his colleagues are working tirelessly to preserve the structure; it is still an active archaeological site where thousands of sherds of Chinese porcelain have been unearthed, providing a glimpse into the material culture of Manila’s colonial past. 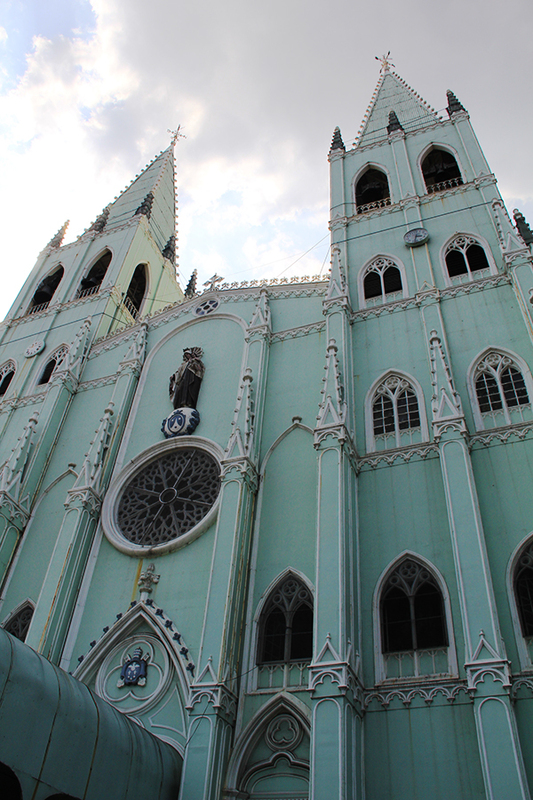 And of course, a trip to Manila is not complete without a visit to San Sebastian Church, the only all-steel church in Asia. 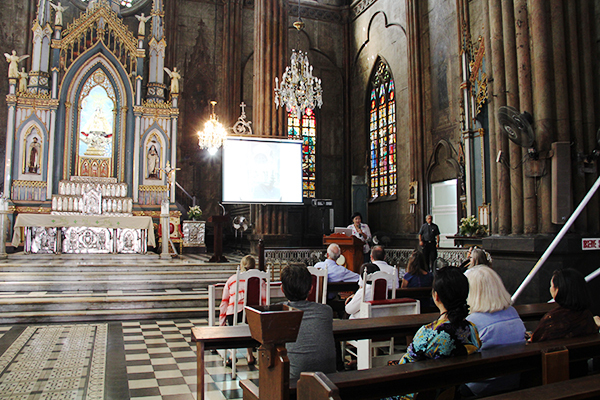 Tina Paterno, executive director of the San Sebastian Basilica Conservation and Development Foundation, presented to our group of scholars on the challenges of maintaining an all-steel church in a tropical climate. 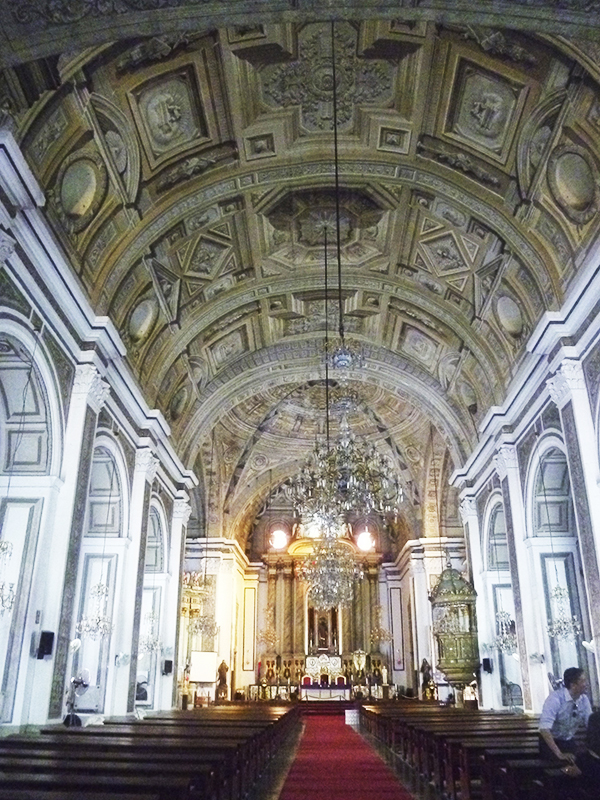 Built to withstand earthquakes, typhoons, and fire, the church has suffered significant water damage, but restoration campaigns currently underway are attempting to preserve this remarkable structure. 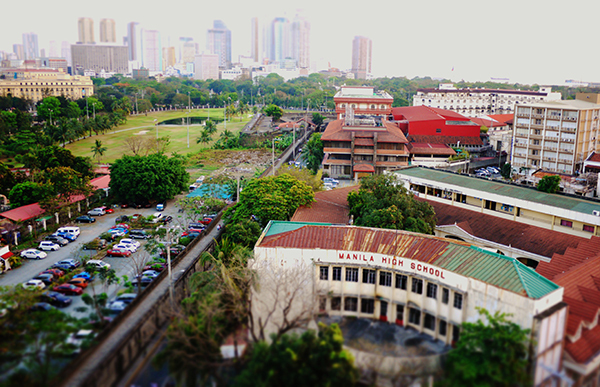 Our last day in Manila ended with an outing to Intramuros, the famed “walled city” within the historic core of Manila. We explored the remarkable colonial San Agustín Church that, miraculously, was the only building left standing after the devastating bombing campaigns of World War II. 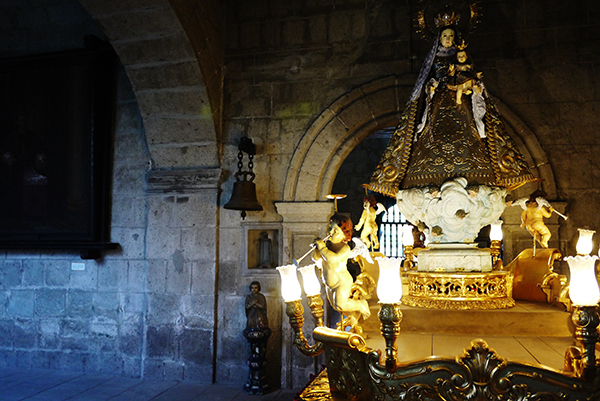 We explored the church’s museum, and with cameras in hand, experienced up-close-and-personal encounters with the impressive silver processional litters carrying the sculptures of the Virgin, Christ, and saints used in Manila’s famed Holy Week processions. After a year of anticipation and planning, the international gathering of scholars for the “Transpacific Engagements” system spread the wings of the Getty Research Institute into the region of the Pacific, forging new relationships with cultural institutions in the Philippines. For all of us, the trip was revelatory on many levels. 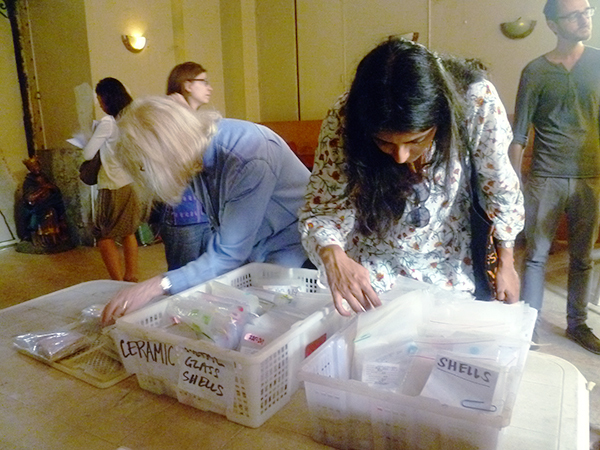 The hospitality of our Filipino colleagues in the museums, churches, libraries, and archives was truly remarkable. We applaud their efforts in the conservation of their cultural patrimony, we marvel at the bustling, stimulating activities of their art museums (especially their very active role on social media), and we delight in the memory of the connections made over lovely “meriendas” and meals as we enjoyed the culinary delights of the country (especially those mangos). Text of this post © Sofía Sanabrais and Meha Priyadarshini. All rights reserved. Sofía Sanabrais I am a current Getty Scholar and a Los Angeles-based art historian and curator who focuses on the cultural and artistic exchanges between Latin America and Asia from the colonial period to the present day. I am a lover of nature in all its various forms. I will be spending my spring and summer raising caterpillars, waiting for them to turn into chrysalises and then joyfully releasing them into the wild. I may even take a stab at adding praying mantises and carnivorous plants to my menagerie. Meha Priyadarshini I am a fellow at the Getty Research Institute in 2013–14 and just finished my PhD at the Department of History at Columbia University, New York. 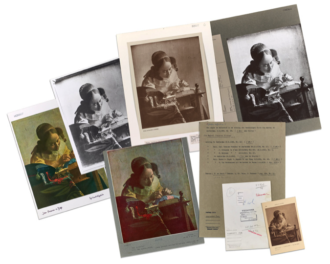 What Is the Future of the Photo Archive?